You put a lot of effort into building a list, and sending out great content. But all of that is for waste if you can't get your subscribers to open your emails! 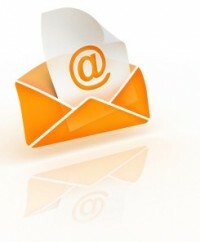 Today we'll look at 7 strategies you can use to create the best email subject lines. The kind that evoke interest and curiosity, and compel your subscribers to open your messages. Punching up your subject lines will benefit ALL of your automated marketing pieces (blog broadcasts, email list archives, etc) as well as your social media activity. The above paragraph is a paraphrase from Phil Hollows on Page 77 of his List Building for Bloggers guide, the Subject Line Optimization chapter. While Phil goes into great detail about each of the 7 strategies, I'm simply going to give you a quick overview and some fun examples to spark your creativity. The subject line of the post you are reading now is an example of a combination of those elements. It contains a number. It's fairly short (8 words). It contains a keyword phrase ("best email subject lines"). To create some fun examples, I'm going to use Link Bait Generator (a great tool for brainstorming creative titles) and a variety of niches/topics. Make your first scrapbook the easy way - this week! Exclusive coupon code, but act fast - offer ends in 24 hours! How to start making money online... today! Phil shares that the two subject lines with a history of repeatedly high open rates, no matter what, are: "You are not alone" and "Did you get it?". I would advise you use those sparingly (and so does he). I hope that inspires you to use some of these 7 strategies for coming up with great blog post titles, email subject lines, forum thread titles and more. I do that to some blog posts too Scott...it helps there too. Adding a question mark? to everything I can. When used how it's supposed to it's a question and questions are great for copywriting. When used outside of it's normal role it's a "pattern interrupt" which is also a great advertising technique. Oh yeah, and using two words that don't go together work great for adding curiosity. Like marketing + alligator. Anywho, I'm no super email guru but those are some things that get my emails opened the highest. I find when I tweet or blog about flowers I get more attention if I mention weddings. I'm sure others are interested in arranging flowers, but weddings seem to be the way to be noticed. Recently, there have been a slew of emails with subjects such as "Your download link" or "Product Update", which are actually badly-disguised affiliate sales letters. I open them the first time - then I unsubscribe. I don't have the time or the desire to interact with marketers who think lying is an appropriate strategy. Being honest with your emails subjects is the best method. I unsub to many lists that send out subjects that don't give a true representation of the email I am going to be reading. I like people being creative but really dislike someone trying to simply trick me. Focus on building a relationship with your list and not on tricking them. Relationships last a long time but tricks only work for a short period of time. Id have to agree with Justin (above) the best instant reaction I've had from an article was one called 'How to Teach Your Shark To Sing'. Sending a misleading email is the perfect way to get me to unsubscribe, but I got away with the shark thing, mostly because I think it made people laugh. Humor is good, and usually well received. There's a big difference between humor and deception, as we've discussed. I would love to see your article - care to share the link? I must agree with some above, the trickery and outright lying (bait an switch) in subject lines just keeps getting worse as the years go by. Somehow you'd know the email is just trying to bait you by just looking at the subject line. Some marketers are really creative but once the content's distant from what the subject line promised, that's automatic unsub or delete. It happens many a time that even the best offers land into trash without even a look, so the importance of a catchy subject cannot be underestimated. We have seen the bait & switch, smoke & mirrors, etc. gimmicks reach the saturation point in the IM world. Marketers who constantly use these tactics without providing solid, worthwhile content are not in this business for the long-haul! I have to agree with Lynn, humour is a good way to get your foot in the door. Essential is actually have something worthwhile to say or sell. Many email market attempts have neither. Excellent advise, definitely will use for my online marketing. Well done Lynn, I liked your 7 bullet points, which you have mentioned at the beginning of the post, for best email subject lines. I agree with your all things said. The irony is people even wouldn't click your email if they are not asked to do so or if not provoked and enticed by catchy email subject lines.